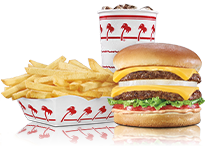 In-N-Out Burger - Ukiah, CA, 1351 N. State St.. Welcome to our restaurant in Ukiah, CA. On N. State St., North of Ford Rd.